Water & Sanitation for the Urban Poor (WSUP) has brought in Unity ahead of World Toilet Day on 19 November, in a campaign that asks people to consider the impact of not having a toilet. It was a non-competitive pitch and Unity will work on the campaign until the end of November. This is the first time WSUP has worked with a PR agency. The social media campaign will launch immediately and centres around the hashtag #ToiletEquals, asking influential figures and the public to tweet about what their toilet means to them. Alongside the social media campaign, the agency will run a photography exhibition documenting women and girls and their toilets. 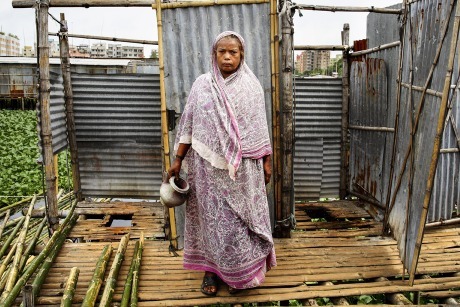 The exhibition shows that, although types of toilets may vary in different countries, the impact of having or not having a toilet has recurring themes around dignity, safety, status and education. WSUP communications manager Gemma Bastin said: "The team at Unity took the brief and built it into something that incorporates our key messaging and complements the entire campaign. We know that social media is a great tool to engage with the masses and we were really energised by Unity’s approach to it – we are confident this is the right partnership and the campaign will be a resounding success." Jessica Becker, account director at Unity, said: "Toilets are a bit of a taboo, so the key to unlocking the brief was establishing a way that would make people want to talk about the toilet and therefore highlight the scale of the problem – that 2.5 billion people across the world do not have access to adequate sanitation."